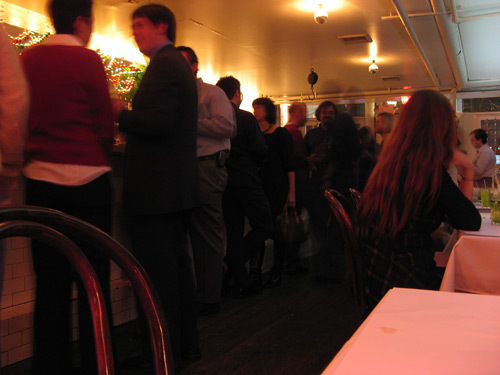 At Ideya in SoHo for the Gothamist holiday party. Did I really use the term “slow circling of the drain” while chatting with Editor and Co-founder Jen Chung? Good grief, talk about too much information. At least the cubanos were tasty, and the mojitos strong. Perhaps too strong.